Summer’s the perfect time to spend a day by the shore, an afternoon on a lake or several hours in a hammock with a good book. The June releases featured are brand new and offer a great variety in selection. 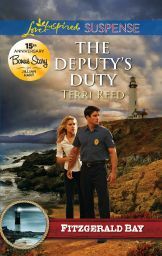 They include a boy’s book, contemporary and historical romance, western mystery, and romantic suspense. The presses are small and traditional. Find your favorite summer reading spot to enjoy these books. Then use the voting box below to let us know which you’re likely to read first. 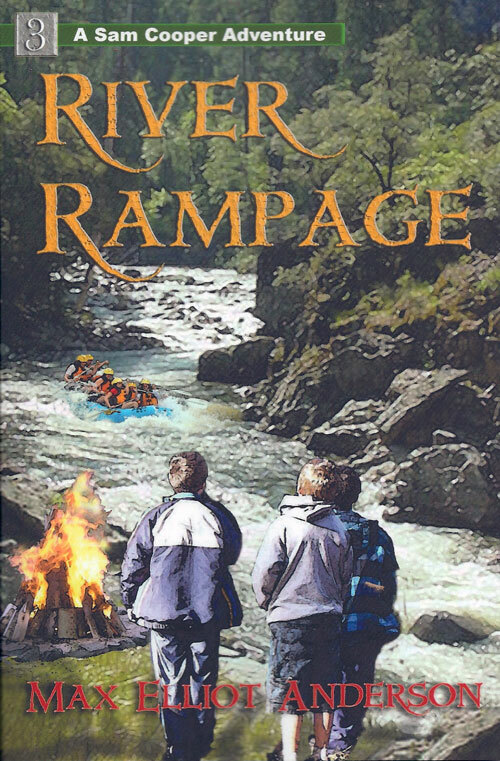 Three boys have their hands full with a raging river, a crusty prospector, his gold mine, a gang of claim-jumping outlaw bikers, and a desperate river escape on their makeshift wooden raft. Think that’s the worst that could happen…well it isn’t. Jobless and down to her last dime, Ellie Moore disguises herself as Lavinia Stewart, a middle-aged widow, to land a position with the Pinkerton Detective Agency. In her wildest dreams, she never imagined having to add a second character to her repertoire in the form of Lavinia's dazzling niece, Jessie . . . or considered the problem of losing her heart to Steven Pierce, who has no idea that the woman he’s falling in love with doesn’t exist. With her father’s death, Anna Newfield loses everything—her home, her inheritance, and her future; she had nothing left but her faith. 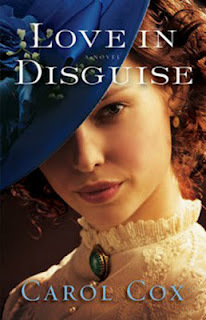 Major Edmond Grenville longs to rescue her, but loving her means going against his family’s rigid control and perhaps losing his entire future. Amid murder, mystery and mayhem, Deputy Chief Ryan Fitzgerald and Free-lance journalist Meghan Henry must set aside their personal hurts in order to work together, risking their lives to solve a murder, catch a killer and rescue a baby before it’s too late. And in the process discover that the biggest, most rewarding risk of all is love. Filipa Beltran is tired of living out her parents' dreams, while Nathan Cross would give anything to make his late father proud. 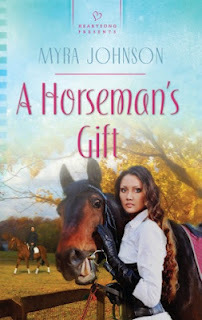 When a childhood friendship blossoms into romance, can this couple find common ground as they search for contentment in their God-given gifts? Welcome back to another day at The Mustard Seed. Kendra LaLonde is a guest today. Let's find out more about her and then we'll chat. Kendra LaLonde, using the pen name “Ken R. LaLonde”, is a pre-30s Christian woman who wants to write novels that are pleasing to the Lord. She began at 16, but severe health problems—coming up when she was just 18 years old—have kept her from pursuing her writing endeavors until now. So let's chat. Kendra, what was your most favorite July 4th ever and why was it so special? Hum. That’s a tough question to answer. I really enjoyed last year’s. We went to visit my brother in New Hampshire, and we had a great day with the church family there. Is July 4th really July 4th without going to a parade, having a BBQ and watching fireworks at night…if not, what other traditions does your family have? Yes, it is! July 4th is so much more than fireworks displays and having fun! It’s more about family and friends!! We usually spend the day together doing something—as a family. I agree. It's a special time to remember our hard-won freedom and be with family and friends. Do you consider yourself patriotic and why? I do think I am patriotic. I don’t like hearing anything against my country! I may live in Canada (we are missionaries) but I am American through and through—I don’t like hearing anyone talking badly about my land of birth! Thank you for sharing that. Have you written any books with a patriotic or military theme…what was your inspiration to write it? No, I have not. But I would like that. My inspiration for wanting to write one is seeing and hearing about all those who are losing out for the sake of our country’s Freedom. That is definitely a great inspiration--the wonderful freedoms we have. Have you shared with your kids, grandkids, or nieces and nephews about the real meaning of July 4th so that they can learn about our country’s history? Can you tell us the top five random facts about yourself? I love the thought of sharing God’s Word with people in a way that is better understood—I do not articulate well when speaking. I can understand that feeling completely. I don't like public speaking, but I love writing. Who’s your favorite author of classic literature? Hum. I enjoyed reading some Charles Dickens; Louisa May Alcott; and a couple of other lesser-known classic authors. But I'm not a huge fan of classic literature. I prefer more modern terminology. Oh my! There’s no way I can choose just one; although I do love ‘Between Sundays’ by Karen Kingsbury. But there are just so many that I love—authors and novels alike! Karen Kingsbury is my favorite author of fiction. Do you have a fond memory of interaction with a reader? Well, whenever I get positive outlook on my attempts for my first novel, it’s very encouraging. Positive feedback is awesome. What was the happiest moment in your childhood? Hum. Since I can’t remember my past very well—in great detail—I'd have to say that, honestly, the Summer I became a Christian is my fondest memory. It was at a bilingual camp, and it was a wonderful week! A wonderful life changing event to remember. Kendra, thank you so much for guesting today. I enjoyed chatting with you. Hope you all can stay to chat with Kendra. If you're a blogger and want to earn money blogging, take a look at Empower Network. I did and love the opportunity! Clash of the Titles has a BIG week coming up! Wednesday marks the beginning of our June Releases Clash, hosted by the lovely Gail Pallotta. She'll introduce you to five amazing new books, so get your voting finger ready. Saturday, we'll announce the three finalists in the 2012 Laurel Awards. Our judges have been raving about the books, saying they wished they had more than just the first two chapters. Remember, this year's judges are readers like you, who have no connection with the writing or publishing world. You could be one of them! If you're interested in being a judge for the upcoming Olympia Award, please email us at contactcott(at)gmail(dot)com. Our current judges are still sending in their score sheets, but by Saturday, we'll have the final tally! In the meantime, we'd like to pass along that Astraea Press is having a HUGE Summer Sale. Almost all of their stock is available for $.99 on Kindle and Nook. To whet your appetite, here are five titles from their Inspirational line. The sale lasts until the end of July, but get your e-books today, before you forget! 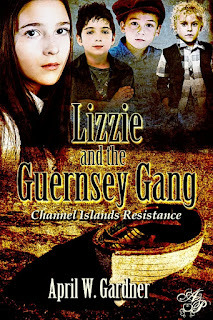 Lizzie Browning loves nothing more than her tiny, island-home of Guernsey, but when German troops invade, she knows it will never be the same again. For Lizzie, younger brother Andre, and Cousin James, the time to escape is now, and they know just how to do it. With the right tools and a little help from a boat named, Trina, they'll be off the island in no time. 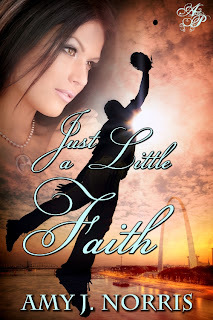 When things start going wrong, Lizzie wonders about God's plan. From the looks of it, He might expect them to live under Nazi rule…forever. How could he do it! How could her father bring into their home the guy who burned the church? Yeah, it was an accident and her dad’s a minister, but if he wanted to save this man’s soul, why didn’t he go to the prison to do it? And no matter how cute the criminal is, no matter what anyone says, she doesn't watch him all the time. Nice girls don't fall for guys like Clint. Do they? When six kids are at a party, partaking in a little too much fun, one of them is killed. 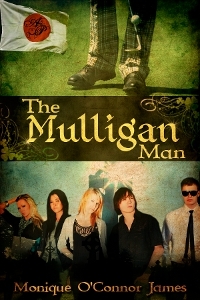 The Mulligan Man, a character straight out of folklore appears offering them the chance to fix all the wrongs. In order to complete the deal, the teenagers must find out the truth of what happened, perform a random act of kindness, and become friends. If they meet these stipulations, he will allow them to bring their friend back from the dead. In the process they learn not to judge, to stay away from drugs and alcohol, and that love can bridge even the boundary of death. 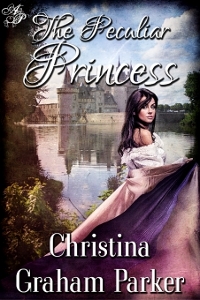 Sent back four hundred years to reclaim her birthright as Princess of Dresdonia, Lexy Newberry discovers the only thing harder than living without electricity is guarding her heart from the perplexing Lord Lukas Reynard. Are you giving your readers what they want? What do readers want anyway? They want a spell-binding story that really draws them in and they devour each page—at the end they are left wanting to read more about your characters. Sounds like a tall order but it is possible. Think of some awesome books you’ve read that have kept your attention and you didn’t want the story to end. Let’s break down what are some key ingredients to a spell-binding novel. First of all you need compelling, believable characters. Your readers need to relate to these characters and if they don’t get to know them, they can’t relate. How do readers get to know your characters well enough to relate to them? You need to write well rounded characters. Dive deep into their point of view as you write their story. Never head hop in scenes and make sure that you allow your readers to fully embrace who these characters are. For example, stay away from passive voice and utilize active voice. What sounds better to you? She was running away from him. Her heart pounded rapidly and the hair on the nape of her neck stood up as she ran from the intruder. When your characters are going through an emotional struggle, how do you portray that? You’ve heard the saying, show don’t tell, well it is extremely important to let your readers in on what is going on in your character’s mind. When writing a scene, you must only write from his or her perspective. For example, what does your character see, hear, taste, smell or feel. In one scene, you cannot jump from two different characters’ points of view. It confuses readers and does not make for a complete picture of who your character really is. Someone approached his desk but he focused on the file in his hands. 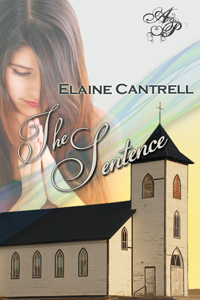 When he glanced up, he saw her standing in front of him. Marc Abrams heard the clicking of heels approach his desk, but he ignored the intrusion and focused on the file in his hands—until he smelled the familiar scent of jasmine and roses. Not wanting to get his hopes up, he glanced over and there she stood. She looked like a tall drink of water in the desert, with her slender physique and shiny hair and piercing eyes. The first section tells what happens but doesn’t let the reader experience what Marc experienced. When you read the second section, you are right there with Marc as he heard someone approach and then smelled her perfume. You feel his excitement, hoping it’s her. Then you get to see how much this person affects him. Telling a good story is also about writing compelling, believable dialogue. You need to write how the character would actually speak. Not everyone speaks in correct English. Make your dialogue become a work of art. Remember to also keep your facts straight. Do your research. Readers don’t like to read a book that is full of mistakes. Don’t repeat the same word a lot in your paragraphs. Just try to remember all of these rules to make your story come alive and have fun. Write and write and write and then don’t put editing on the backburner. Editing is essential to putting your best work out there. What is one of the best books you’ve read lately? As an author, do you need other authors in your life? I’d like to begin by saying that in my short writing career, I have come to realize the answer is definitely—beyond a doubt—yes! “No man is an island, entire of itself.” (John Donne) We need each other and I’d like to share why. I have been fortunate to find many new friendships online with great authors. I really appreciate this because I haven’t found any local author groups to attend, so finding communities of authors to network with and learn from and share encouraging words with has been—absolutely priceless! It’s something that has kept me going when setbacks came in my career and I needed advice and a friend to lean on. This last year, I started an online yahoo group called Authors and Readers of Romance. The purpose of this group is to provide an online setting where people—authors and readers—can connect and discuss books and accomplishments in their lives, offer advice and where readers can chat with authors. I am excited to see this group growing in members and if you’d like to join, please feel free to hop on over. We’d love to welcome you to our discussions. If I was allergic to networking with other authors, I wouldn’t be moving forward and taking the beginning steps to expand my platform—as I’ve been doing this last year. I’ve blogged about this before—in order to achieve a healthy following for your blog, you need to provide interesting content. One way that I’ve accomplished that feat is that I host guest authors. They can blog about topics, which I provide (unless, of course, they have something more spectacular that they’d like to discuss); they can be interviewed and I also do book reviews. However, I haven’t forgotten about readers. I am always looking for readers who are interested in guest blogging or being interviewed in my Reader’s Corner. It’s my philosophy that readers are the lifeblood of authors. If no one purchases and reads your book, then you’re not earning anything, except a chance to do what you love to do—write and tell stories. I truly believe that theory! When we work together, we have a greater chance of success. Yes, you will always be out for number one--yourself—however, you need to find a way to marry this philosophy into your marketing perspective. Bring another author or two or three or four along with you as you climb the ladder of success. It will definitely be less lonely at the top if you’re not without author friends. We really need each other. You may not believe me and maybe you want to try it your own way and claw your way to the summit, but I don’t believe you’ll be happy along the journey or when you look down and see the people that you trampled on, as you traipsed towards the pinnacle of success. We work better together. Find critique partners—find friends who can lend a listening ear—find authors who’ve traveled the road ahead of you and ask them for advice—then don’t be afraid to return the favor and help someone else on their journey towards success. You won’t be sorry you did…you’ll only eventually be sorry if you didn’t! Do you have a solid plan for promotion of your books—one that is not building a house of cards, which can fall down with the slightest negative wind blowing—or one that is building a stone house with a solid foundation. You need something indestructible to the negativity that will surround your writing career. So let’s break it down into key steps you can take to build that solid foundation. The first step is branding your name, not your books. Of course you need to promote each book you write—but your fans are not going to always be able to spout off the titles of all your books, but if they like your work and if you’ve become popular, they will remember your name. If they know your name, they can easily find you online or in the bookstores. When they find your website, then they can look up your books. When they go to the bookstores, they can find your specific titles. A second huge step towards building a solid foundation is to blog and be the best blogger you can be. How do you do that? Content is KEY. If you don’t have good content, then you won’t have return visitors and you won’t attract new visitors to your blog. Make sure you have a great title which explains what your blog is about—what your purpose is. When you write your own blog posts, try to make the titles, questions rather than statements. You want to pull readers in and questions (especially good ones) usually beg to be answered. The other reason I use questions in the blog titles is because I used NetworkedBlogs and they get linked directly to Facebook and Twitter. For the purposes of Twitter, that works well because tweets are short and that question plus the link will really stand out and get people’s attention. If you don’t think that you have enough content to blog every day, invite guest authors to post or be interviewed for your blog. Have blog parties. Post reviews of books that you review. You can even connect with readers and encourage them to post guest blogs or be interviewed as well. Social media has changed the way that authors are selling and promoting books. With the advent of Facebook and Twitter and before that, other sites like MySpace—authors have brand new opportunities opened to them. They can more easily communicate with readers now and “meet” new prospective readers online and have FREE ways to get their promotional information out there. My first book was published 8 years ago (not that long ago) and things were even drastically different then regarding using social media for marketing. For more information check out my post on Utilizing Twitter the Right Way. Networking with other authors is highly effective. We should not think that going it alone in our journey is going to get us very far in our careers. Authors do need other authors in their lives. I’m a strong proponent of working together—especially if I want my blog to succeed—which helps promote my name—which will in turn increase my brand recognition—thus increasing book sales. Since I have always been open to having guest authors on my blog (which helped me with new content and helped them by giving exposure), it’s paid off. I have had many authors reciprocate and offer me guest spots on their blog. Last but not least by any means, you need to get in touch with readers. Make yourself available to respond to all (or as many as possible) of the comments on your own blog posts which readers post. Also, when you guest on other blogs, keep to the same method of connecting with readers. As I mentioned earlier in this post, I have invited readers to guest on my blog and also be interviewed. What are your thoughts? What promotional methods have you found to be useful?